The goal was to create a believable environment with matte painting, so I can have shorter render times in 3D. The whole project was created in 3ds Max, rendered with Corona Render, and composited in After Effects. 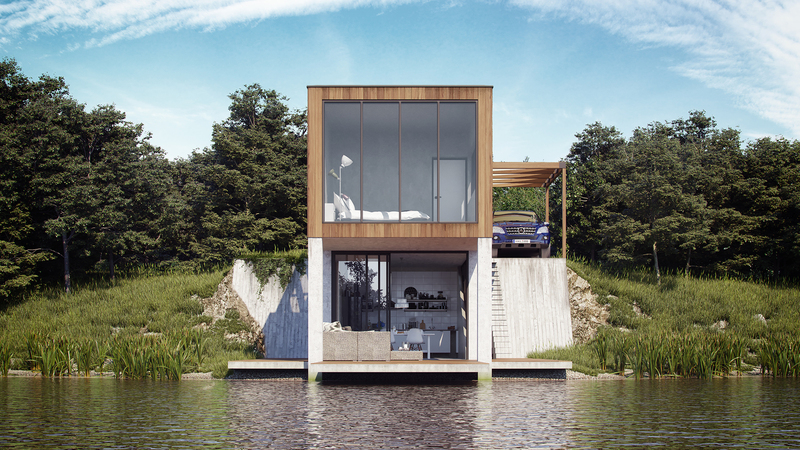 The building has been designed by me, it could be a wholly functional weekend house, if ever built.